At FYZICAL Therapy & Balance Centers, no treatment is complete without hands-on care. Our therapists have many years of training and experience in several types of manual and massage therapy. You might be familiar with the types of relaxing massage you would get in a spa, but manual therapy techniques are more injury or condition-oriented and focus on specific areas of the body. After an injury, muscles, ligaments, and tendons (soft tissues) tend to tighten up, restricting circulation, contributing to pain, and decreasing joint movement. 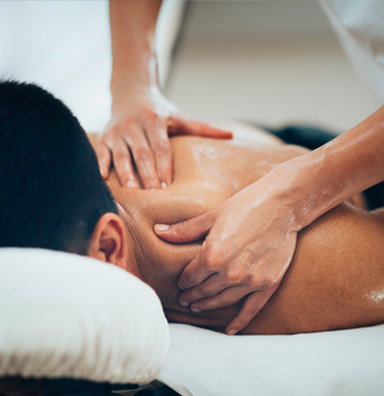 With techniques such as soft tissue and joint mobilization, neuromuscular massage and myofascial release, physical therapists manipulate soft tissues and connective tissue (sheath that covers bones, nerves, and soft tissues) to restore motion and ease the discomfort caused by muscle tightness and spasm.